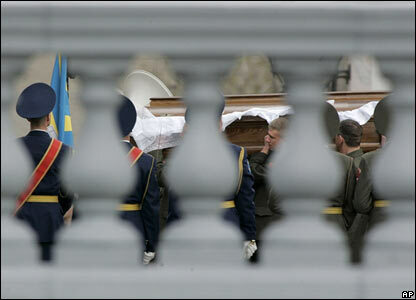 A state funeral has been held in the Russian capital, Moscow, for former President Boris Yeltsin. 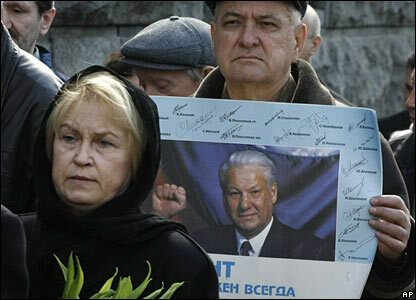 Mr Yeltsin, Russia's first elected president and the man who led the country to independence after the collapse of the Soviet Union, died on Monday at the age of 76. 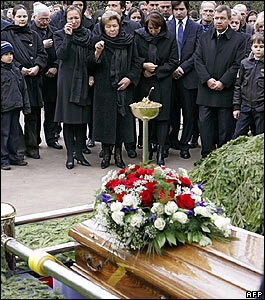 Before the funeral, hundreds of mourners filed past Mr Yeltsin's coffin to pay their respects. 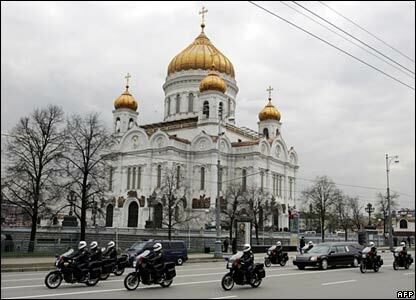 The service took place at the Cathedral of Christ the Saviour, which was rebuilt under Mr Yeltsin after being demolished during Soviet rule. 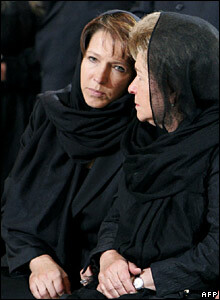 Mr Yeltsin's wife, Naina, and his daughter, Tatyana, looked on as prayers were said. 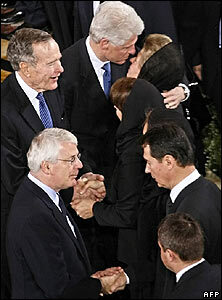 World leaders from the Yeltsin era - former US Presidents George Bush Snr and Bill Clinton, and ex-British Prime Minister John Major - offered their condolences to his family. 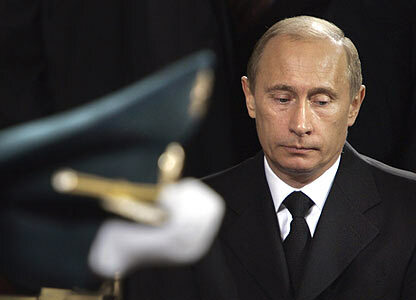 Mr Yeltsin's successor, President Vladimir Putin, had declared it a day of national mourning. 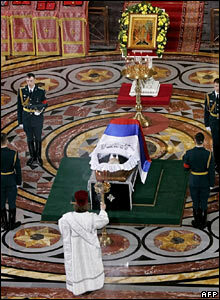 Mr Yeltsin's coffin was carried by an honour guard from the cathedral. 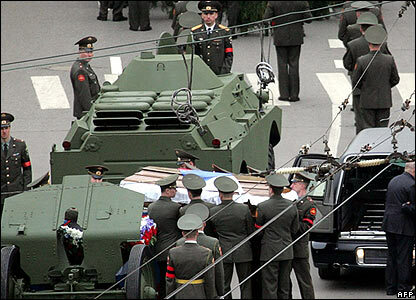 Mr Yeltsin's coffin was transferred to a gun carriage for the final part of its journey to Moscow's Novodevichy cemetery, where he was buried with full state honours. 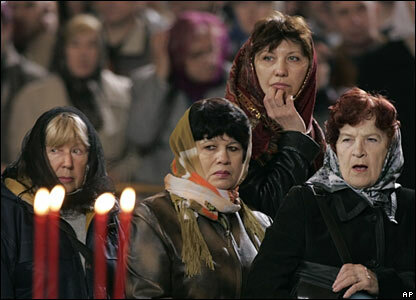 Naina Yeltsin wept at the graveside as her husband was lowered into the ground, where he lies alongside many famous actors and writers from Russia's past.